YOU ARE POWERFUL BEYOND YOUR WILDEST DREAMS, SO WHAT IS HOLDING YOU BACK? Tiredness, too much to do, stress, heaviness, ambivalence? In this series, we take a journey to activate our inner wisdom, our essence. Accessing this area gives you energy, strength and vitality. You will feel connected, grounded and spacious. Think of your essence as a jewel which has been covered in dust and just needs to be polished. Accessing this area can be felt as a profound shift in consciousness. As you dive into this you access a state which is hard to put into words but imagine the most love you’ve ever felt and then multiply it by a million, a state of bliss. You will flow through some asana, meditations and energy management techniques specifically focused on expanding your inner connection to free the tension in your body and mind so you can really embrace your essence. These classes are truly about loving yourself. The videos are all gentle hatha yoga with meditation and breath-work and will be suitable for beginners and most bodies. Sign up today and start your journey. 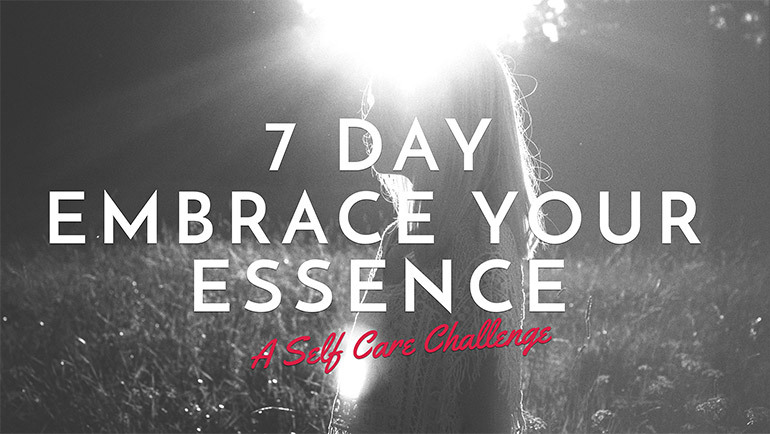 Every day for seven days, you will receive an email with a movement or meditation video and motivational advice to help you on your way to embrace your essence. Let us know how you get on during the challenge and share your journey with us on social media using #MovementForModernLife + #MoveMoreLiveMore. "If you can learn to love yourself and all the flaws, you can love other people so much better. And that makes you so happy"
Our hips are said to hold our history. No wonder they feel so sensitive. With this sequence we’ll mindfully ease the tension out to gracefully release that which holds us back freeing up the hips as we go. We will take our time using equal breath so your body can really let go and you’ll feel lighter afterwards.This is a nice and easy hips class, great after a long day to release and unwind with patience. You will need a belt. How we approach our daily life has an effect on our moods and our mindset. When we feel disempowered and unsteady, we get caught up in the pace of life, we get swept up by drama and get swayed off our centre. This sequence will help you to find that centre-point, that steadiness that you need to feel empowered and grounded. Being empowered helps you to act from your higher self, that space in you that always knows. This is a mindfully slow sequence, suitable for most bodies, with a focus on heart-opening and opening into your power but softly. This lesson will focus on tapping into our navel centre, the area boosts confidence, self esteem and activates our potential. When you feel strong in this centre, you are far more likely to accomplish what you want in life. By focusing on our core we’ll remove any stagnation and activate our capacity. You will need a block. This sweet sweet practice is one that should be done over and over again. Soothing and healing the nervous system, this really does work magic, a relaxing heart-opening Hatha Yoga class giving you your prescription to love yourself. If you are fizzing with stress, overflowing with nervous energy or downright exhausted, then this is your prescription. As often as possible, every day would be ideal. You will need a block and a belt. A sweet meditation which focuses on softening. 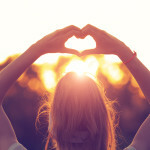 This meditation opens and softens your heart-centre, ready to give and receive love and all that life gives. Great for all-levels meditators. A beautiful meditation on loving-kindness. A real heart-opener, great for beginning level meditatiors to advanced.